An Ethiopian court of cassation has said it will hear the appeal of an Evangelical Christian sentenced to seven months in prison for “causing outrage to religious peace and feeling”. The appeal hearing is scheduled for 9 May and follows the rejection of a previous appeal by a lower court. The cassation court in Wolaita Zonal Administration, 300km south of the capital Addis Ababa, also ordered the authorities in the southern city of Arba Minch to release Temesgen Mitiku Mezemir on bail. Mezemir, 24, the leader of an Evangelical fellowship group, was found guilty in February of defaming the tabot, a replica of the Ark of the Covenant sacred to Orthodox Christians. 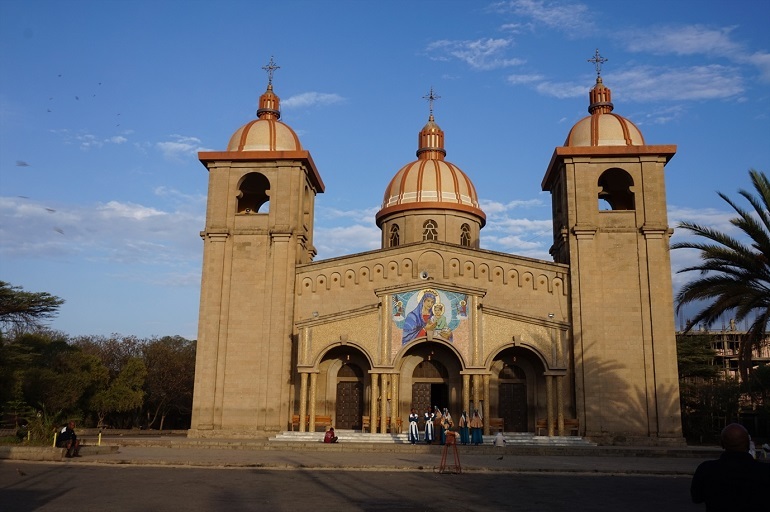 World Watch Monitor understands the charges against him were brought by members of the predominant Ethiopian Orthodox Church (EOC), to which just under half of Ethiopia’s population belongs. The EOC is a symbol of Ethiopian national identity and its leaders play a prominent role in state and religious affairs. However relations between the EOC and the fast-growing Evangelical churches are often strained, characterised by mutual suspicion. Arba Minch lies in an ethnically diverse part of Ethiopia known as the Southern Nations, Nationalities and Peoples’ Region. Between 1994 and 2007 the proportion of Protestants there jumped from 35 per cent to 55 per cent, while the proportion of Orthodox Christians fell from 27 per cent to 20 per cent. Mezemir was charged on 23 January after telling EOC members to compare Orthodox accounts of the tabot with information about the Ark of the Covenant on the Internet. He denied that by downloading a picture of the tabot he had intended to insult the EOC, and explained that he had downloaded it for reference, showing the website from which he had sourced it. There is no law in Ethiopia against possessing or sharing such photos. Local Evangelicals expressed concern at Mezemir’s sentence, arguing that it set a precedent whereby anyone could bring unfounded accusations against Evangelicals with impunity. They also expressed concern that the legal process was wrought with irregularities. One member of Mezemir’s fellowship group told World Watch Monitor that the weeks leading up to the court case had been marked by several violent incidents for which he believed members of the EOC were responsible.